TikTok has caught up with Facebook's Instagram in Apple downloads in global markets in recent months. It has outranked Instagram in India since November 2018, and it surpassed Instagram in the US in November, according to ValueChampion, a consumer research firm based in Singapore. In the US, TikTok already outperforms Snapchat in the Photo & Video app download category, while it's catching up rather quickly in Europe, the report said. TikTok is performing well, especially with younger people. Laurel Kurtz, a 23-year-old TikTok user in San Diego, California, told the Global Times on Monday that she doesn't think there is direct competition among TikTok, Instagram and Snapchat, as they each fill a different niche in society. "Instagram is more for photos, and quick update videos that will disappear after 24 hours, whereas TikTok's videos are more long-lasting, so you can do more with them," said Kurtz. TikTok's advantage of providing great tools that can be easily leveraged by users to create interesting content has caught the attention of younger netizens, Zhang Yi, CEO of iiMedia Research Institute, told the Global Times on Monday. However, Zhang said that it will be very difficult for Facebook to win back users with such a "cloned" product. 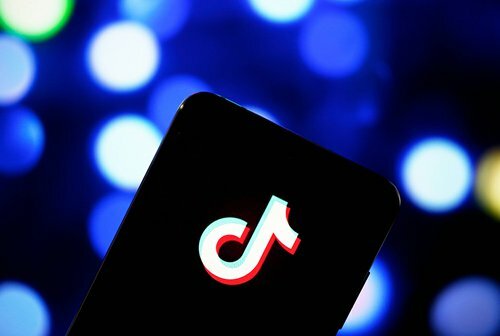 Although the rise of TikTok has drawn high expectations among investors, Zhang said as a "niche" product, the app "does not have the qualities" to become a global leader. "TikTok has accumulated a great number of users. However, it is a product with both techniques and cultural aspects, although it isn't irreplaceable," Zhang added.